1. Get plenty of references: A majority of contractors are found in networking groups, real estate investment clubs, online searches and by word of mouth. Even if someone comes highly recommended, you still need to mind your due diligence. Treat your contractor like you would anyone else that you want to work with. Don’t be afraid to ask about what projects they are working on and if they have any references. It is up to you to find out as much information about them and their business as possible. They will be directly responsible for working and organizing work on your property. You need to be able to trust that they have your best interests in mind. Your contractor is too important to go off what someone else has said about them. The internet has made it much easier to find out almost anything about someone you want to work with. Do your own work, and get as much information as possible. 2. Money, time and budget: If you feel confident that they can do the job, you need to move to phase two. It is important that you get as much information on the table as possible. It is too late to discuss money and budget once the project is halfway finished. Before the first nail is hammered, you should both be on the same page. There is one thing you never want to hear: “I thought you said”. It should almost be a little annoying how much you discuss the budget, compensation and time frames. Your contractor can be the perfect fit, but if they can’t make it to the house for a month you probably need to find someone else. The work schedule used will dictate who does what work and when. Your contractor is the point guard for making sure everything flows as it should. 3. Payments: In any potential work situation, the conversation eventually leads to payments. You need to have clearly defined terms for how you distribute funds and when. Never prepay for work that hasn’t been done yet. Doing this causes you to lose any leverage you have, and may also open the door for lax scheduling and poor quality work. What you should do is create a plan for when you expect the work to be done and when payments will be made. When the work is done, you should expect to pay promptly. Nothing will get you on the bad side of a contractor faster than not paying when they expect. They held up their end of the bargain and you should hold up yours. They longer you make them wait to get paid, the less likely they will work as hard, or even want to work with you at all. 4. Find out other projects: Your potential contractor is in business for themselves, much like you are. You can’t expect them to drop whatever they are doing to work on your property. Before they get going, you should have a conversation as to what other projects they have going on. Most likely they have things that they need to take care of. This is fine, as long as you know where you stand. You can also tell a lot from the answer they provide. Not having other projects doesn’t mean they aren’t good at what they do. 5. Critique: Nobody likes to be told what they are doing wrong. As the property owner, you need to be able to deliver constructive criticism when you deem fit. How you do this will go a long way in your relationship. You should never stand in the middle of your properties telling your contractor everything they are doing wrong. If you want something done differently, tell them in private. They will respect and appreciate you that much more. Don’t tell them every little thing that they can do differently. Yes, you are paying for the work, but don’t knit pick everything that is done. Once you develop a reputation as someone who is difficult to work for, you will have a hard time finding people when you need them. 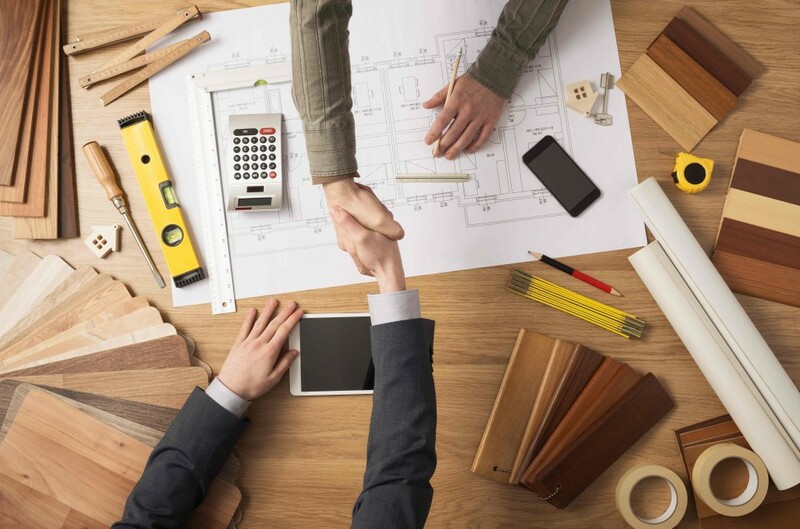 Finding the right contractor will make your business much more enjoyable and productive. It may take some trial and error, but when you find the right contractor your business will be much better off for it.